Designed with durability and speed in mind, this burly pack from Arc'teryx is a worthy addition to your climbing gear. The Alpha FL 30 Backpack has an ultra light design with a highly weather resistant construction and has two ice axe loops, six integrated front lash points and a zippered document compartment to keep all your gear and essentials organized. 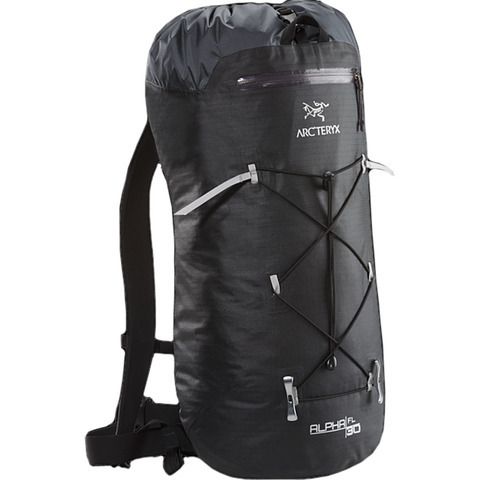 This sleek climbing bag also features a rigid, formed back panel that adds loads of support with comfortable Thermoformed shoulder straps and large pull tabs for quick, glove-friendly access.